Sophie Lane, a final year journalism student, talks about which publications are most accessable for young, online readers. Most journalists wouldn’t have heard the sentence “the industry is changing”. While we’re all well aware of the progression from print to online, the job losses, and the new career paths we all must embrace for this change to run smoothly; few news publications are getting it ‘right’. Unfortunately for us, it’s not as easy as a simple copy and paste command. The digitised platform carries conventions of its own, and all within very good reason. Research shows 80 per cent of online readers will only read above the ‘page fold’ of each website they visit. That is, they will not bother scrolling down their page in order to find more information. The 20 per cent of readers who do drag that scroll bar decline with each and every digitised day. So just how does your favourite news outlet stack up against the rest when it comes to the online world? The newspaper whose size you love to hate has managed to move forward without losing its metaphorical curves. The publication, as part of online content, now offers a subscription service that mimics the exact layout of your hard copy morning paper- page flicking and all. The best part about it is that thanks to the zoom feature, you don’t have to reach for your glasses. Spread out, relax and read. The Age has embraced online in the classiest of ways. 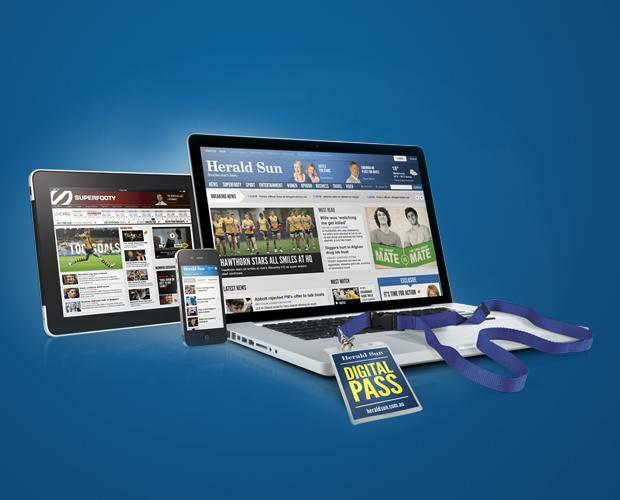 This publication invites you to ‘access all areas’ with an ‘exclusive’ pass to online content for a fee that amounts to far less than your hard copy paper. What’s clever about this model, is that the Sun has hidden video, audio and interactive gems from the general public- meaning the site is sure to gain your subscription soon enough. At $1 for the first month, you’re granted online savvy content produced with nothing but the digital medium in mind. Eye catching, scroll-less and interactive, The Herald Sun has got it right. News.com.au is a dedicated online publication– allowing them to keep things fresh with innovative ideas for the online reader. A menu bar titled ‘video’ brings you the latest news coverage according to regional state or section of interest. There’s enough digital content in this section to last readers (or ‘watchers’) hours. The best part is, as of yet, there’s no subscription fee! How can you make your articles online friendly? Create an interactive graphic (such as a google map, or soundslide) to keep readers ‘watching’. One for the new media ethics book – is it ok to link to people’s Facebook pages in news stories?